Every Linksys camera comes with a camera utility which allows easy viewing and recording of videos. 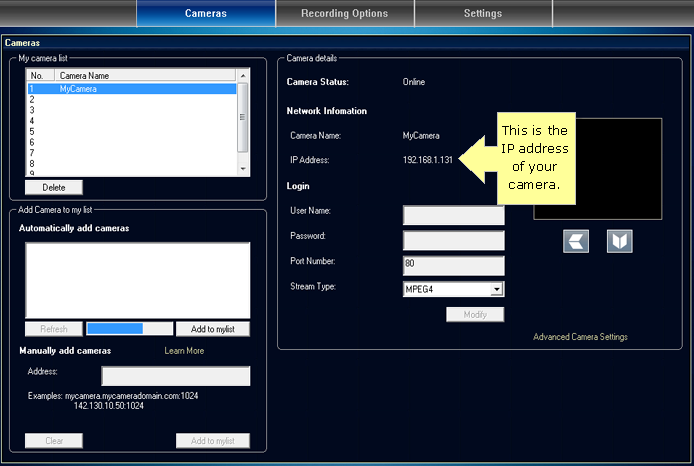 This utility can also be used to detect your camera and check its IP address. 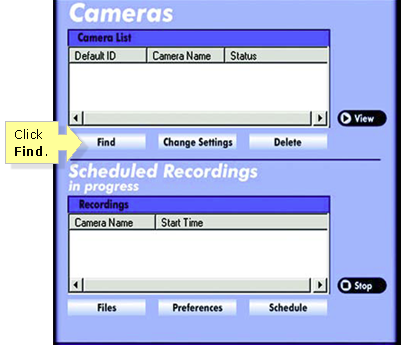 Open the Wireless-B Internet Video Camera Utility by double clicking on which can be found on the desktop. Click Find to locate your camera. This will search for all cameras connected to the network. NOTE: Make sure that your computer is connected to your network. Open the Linksys Viewer & Recorder Utility by double clicking on which can be found on the desktop. 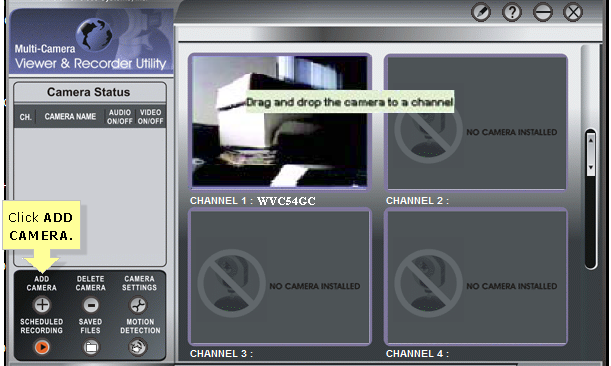 Open the Wireless-G Internet Video Camera Utility by double clicking on which can be found on the desktop. 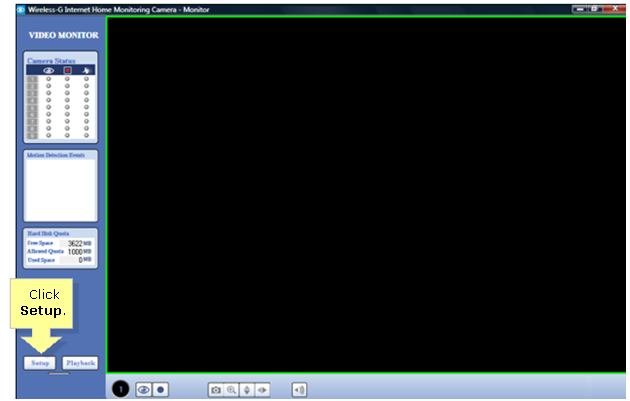 Click ADD CAMERA to display the camera connected to your network. 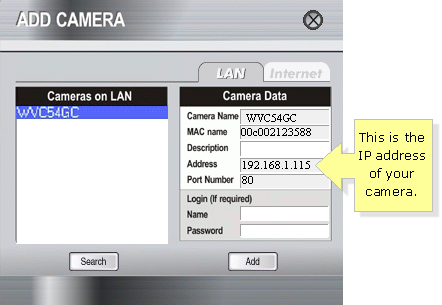 Open the Wireless-G Internet Home Monitoring Camera Utility by double clicking on which can be found on the desktop. 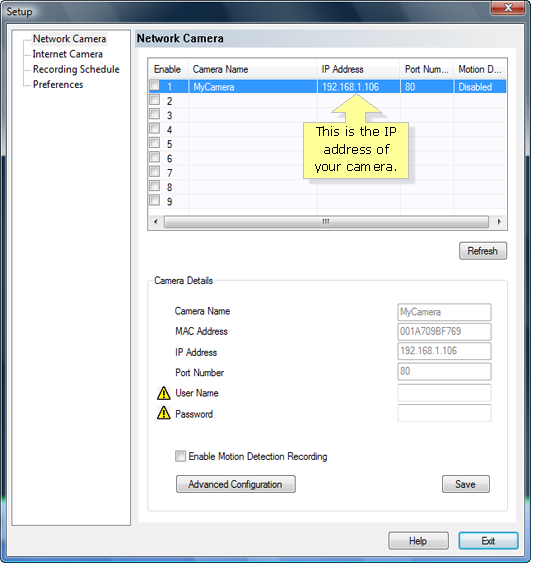 Click Setup to display the camera connected to your network. 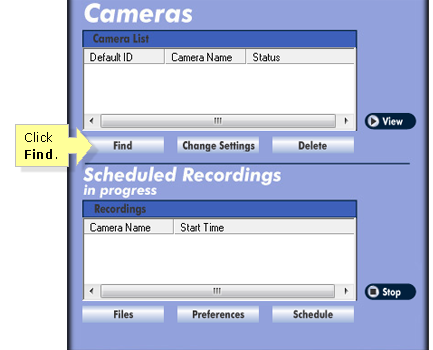 Open the Wireless-N Internet Video Camera Utility by double clicking on which can be found on the desktop. Click on the Settings button at the top.